Today is a proud mama day. 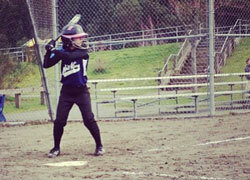 My 4th grade daughter Mimi who is quite gifted in sports played in her 2nd softball game. This is a new sport for her. While practicing pitching with my husband and her older 6th grade sister for the last few weeks, she went into the game as the backup pitcher to the 2 starters. Well, she was called up and struck out the first batter, then walked the next one, and struck out the 3rd and 4th batters. Everyone went nuts and I made victory cookies. Not just any cookies. 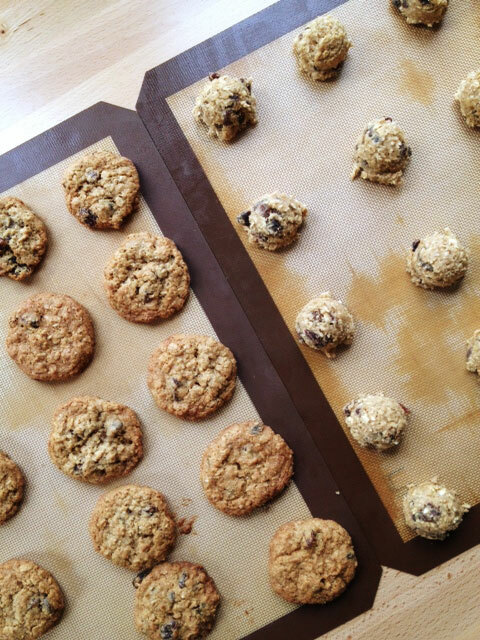 These cookies were inspired by a Savory Sweet Life reader (Hi Evie!) who emailed me this morning asking whether or not I had any oatmeal raisin cookie recipes on my site that are as good as my famously viral Best EVER Chocolate Chip Cookies. As I read her email, I knew what she was getting at and looking for. I told her how I personally liked the Quaker Oats recipe on the box but that I would give it some thought and get back to her. As I thought about all the oatmeal cookies I have ever tasted and personally enjoyed, I started to think about what would be the quintessential oatmeal raisin cookie I would consider the best and most memorable. A cookie so good, that when shared, people would devour them. As I was telling someone yesterday, when I develop recipes I always think about the end product in mind. Trusting my own finicky palate, then working backwards. This means thinking about certain characteristics I want the final baked good to have, then approaching the recipe like a food scientist understanding how technique is as important as ingredients. I know this all sounds silly but it is completely true. Just last week I spent long late night hours over 5 days with 3 failed attempts at perfecting a vegan vanilla cupcake that was so good and that I could be happy with. Because at the end of the day, I am the one who wants to be satisfied and happy with my work. And in case you’re wondering, I made a pretty amazing vegan vanilla cupcake yesterday, waking up at 3 am to give it one more shot before bringing them to a birthday party alongside my favorite chocolate ones. Back to the oatmeal cookies. To call your cookies the best takes courage and guts, especially on the internet. Well, these are the best! I realize I just threw a gauntlet down. 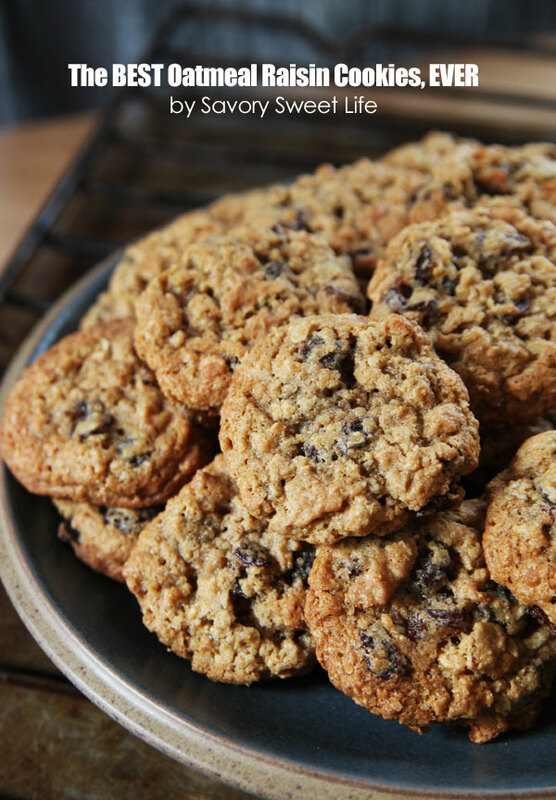 But when I eat these cookies, I can’t recall a more satisfying, delicious, crispy and toffee tasting on the outside and every so chewy on the inside oatmeal raisin cookie. I think the blend of spices is perfect, the texture, height, and flavor is perfect, and the overall look of the cookie is perfect. They aren’t runny and flat nor do they look dense and heavy. My husband’s favorite cookie is oatmeal raisin and I consider him a pretty good judge when it comes to this type of cookie. He has fond memories of his grandma baking them for him as a child. They remind him of his childhood in the same way a Hershey bar reminds me of mine. But my kids aren’t crazy about cookies with raisins in them. They are my hardest critics, sometimes brutally too honest. When my kids told me these cookies were awesome, I knew they were special. If I can get my kids to love and rave about these cookies then I stand by my claim. Yep, these are the best. If you are looking for a classic oatmeal raisin cookie that will make have you smiling bite after bite, look no further.. you’re home. Enjoy! 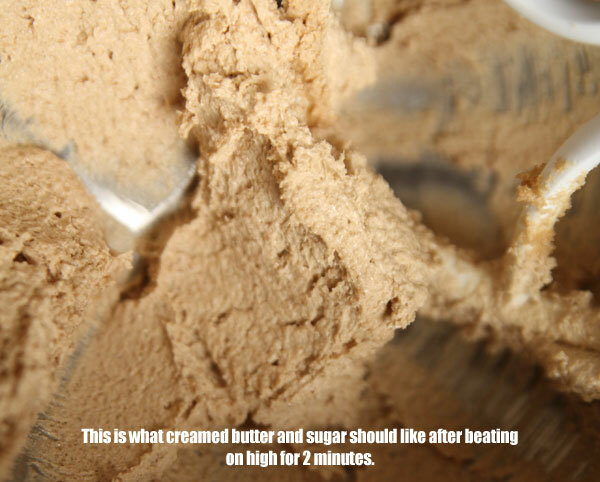 Using a stand mixer, cream the butter and sugar on medium-high for 30 seconds, then increase the speed to high for up to 2 minutes until the sugar-butter mixer looks whipped like frosting and not like wet sand. Reduce the speed to medium and add the egg and vanilla until well combined. Add the oats, flour, raisins, baking powder, baking soda, salt, cinnamon, and allspice. Continue to mix on medium speed for about 30 seconds until the dough is completely mixed. Using a medium cookie scoop, scoop the cookie dough approximately 2 inches apart on a baking sheet that is lined with either parchment paper or a silicon mat.. A medium cookie scoop is slightly bigger than a tablespoon. Bake for 11-12 minutes turning the baking sheet around half way through the baking time until the cookies are golden brown, slightly lighter in the center. Remove the cookies from the oven and allow them to cool on the baking sheet for a couple of minutes before transferring them to a plate or wire rack. Best when eaten slightly warm, the edges of the cookies will become crispy when cooled down. Thanks for sharing your observations about butter. I know butter makes a difference in terms of salt content but had not thought about it in terms of moisture. Your note is very helpful. Also, thanks for reminding me about the sugar cookies. Our default cookie recipe on this site is the chocolate chip cookies but you just minded me how much I love those drop sugar cookies. After several years making this recipe, I have found that the brand of butter makes a difference too. It seems some store brand butters have a bit more moisture in them. But I do not like the land/lakes at all, it just didn’t work at all for us. Sams has a great all around butter, and tastes very good. My guys just love the flavor, and so does everyone else. It’s what is requested the most, your sugar cookies are number 2. Same here. I think there should be more flour in the recipe. maybe you used 1/2 pound of butter instead of 1/2 cup? Hint #1: Mix the oats into the wet mixture and let sit for 10 minutes. Then mix the rest of the dry ingredients and raisins. Do both by hand with a wooden spoon. Secret tip: Add 1 tablespoon of dark molasses when adding the sugar to the butter. Reduce the sugar accordingly. Tip #2: Grind up fresh cloves and add an 1/8 of a teaspoon. Interesting that you should remark about the raw sugar. I found the same thing, that the raw sugar doesn’t quite dissolve, which in turn gives a crunchiness to these otherwise soft cookies. For me that was one of the things I most liked about these cookies. That and the taste. Mine also came out runny and flat! Nothing like in the picture! I made it twice with the same results!! Any idea why? These are great, they turned out perfect when we made them. Thanks for posting. How many cups of flour required? my cookies melted together. Can you tell me why? I can never resist trying a recipe when I blogger insists it is the “BEST”. In my opinion, the raw sugar crystals left the finished cookie with an unpleasant gritty texture. The flavor, however, was fantastic. I tried the recipe again with a mix of brown and white sugars which corrected the issue. This is a very good chewy oatmeal cookie with good dough to raisin ratio. Maybe not the “BEST” but a really, really good cookie! I made these last night, and they turned out flat. I re-read the recipe today to make sure I didn’t leave anything out. Nope, just came out flat. Also, I noticed that my creamed butter and sugar did not look anything close to your example, as the raw sugar crystals were too large. Excellent recipe. I’ve made them 4 times now and they never last among family and friends. Chocolate chip cookies can get boring and these are just as satisfying. I add coconut shavings and/or walnuts/pecans. Ridiculous! Thank you very much indeed for sharing this recipe! Not fond of oatmeal raisin cookies myself, but married to someone who is, I decided to look for a recipe that we would both like. These cookies are absolutely delicious! Even a die-hard chocolate chip cookie lover will enjoy them. I really like these cookies! 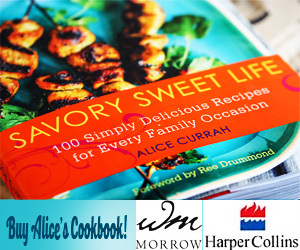 Thank you, Alice! I’ve made them 3 times in the last month. Crowd pleasers, for sure! One important note: because this is a rather small recipe, it really matters what size egg you use. The first time I made the cookies, I used a large/xl egg from the grocery store. Fine. The second time, I used a GIANT egg that I got at the farmer’s market. That second batch still tasted good but came out of the oven looking like oatmeal lace cookies. They still tasted very good but just a different consistency. The third time, I used a normal sized egg (like the first time) and I refrigerated the dough for about an hour. This allowed the dough to congeal a bit and my cookies came out of the oven looking more like Alice’s photo above. These are the only oatmeal cookies I make now. Everyone loves them, and I make a batch about once a month. I did add some black walnuts to the recipe. Must say they were a hit. Sent some to CA, to surprise my daughter. She took them to work where they got raves as well. Thanks Alice! 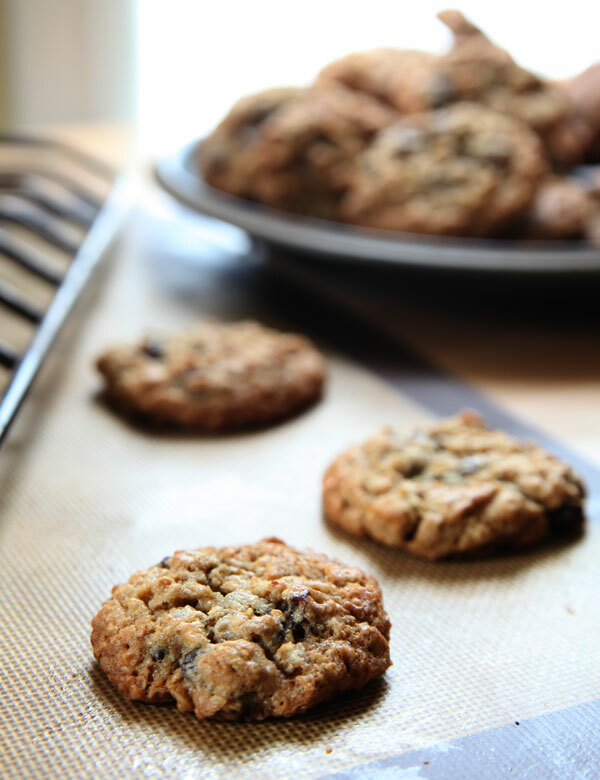 these aren’t the best oatmeal raisin cookies ever … they’re the best dessert ever! my friends and family freak out when I make them. thanks so much for the recipe. you make me look good. I added about 3/4 c. toasted and coarsely chopped pecans and walnuts. I used 1/2 coconut sugar and 1/2 c. brown sugar. They do come out lacy looking, but this is how we like them, crunchy on the outside and chewy inside. Followed recipe to letter and my cookies are runny and very spread out…,..what happened…should have made my regular recipe!! I tried this recipe this evening & I must say I am very impressed! I can usually mess up baking something that comes from a box, so my hopes weren’t too high. However, these were the best cookies I have ever made! Some people can be so cynical and have their own ideas on tastes & what they think is perfect or delicious, but I THANK YOU for sharing your recipe. I did notice a couple of cookies were spreading out thin, but I hand rolled each one by hand (which I think helped them not go flat like others had issues with) so maybe those weren’t rolled tightly enough. The hubby doesn’t even care for oats or raisins, but he loved this recipe. Thank you! I followed the recipe and got a similar result as some of the above–cookies spread all over the pan, and were very thin.